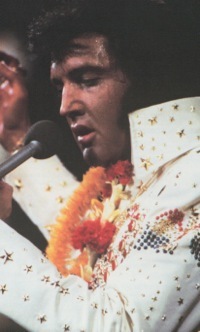 Elvis at Stax in 1973 … A Final Triumph Or Start of Presley's Great Fade Away? In July 2013, RCA/Legacy recently announced the release of an Elvis Presley box set. ELVIS AT STAX: DELUXE EDITION, a three-CD compilation of the 28 tracks Elvis recorded in July and December 1973 at Stax Recording Studios in Memphis became available in stores on August 6, 2013. In addition to the 28 masters, the set includes 27 outtakes and alternate versions. “The last major studio sessions in the career of Elvis Presley have finally been gathered together for the first time in one comprehensive package,” the announcement blared imposingly. 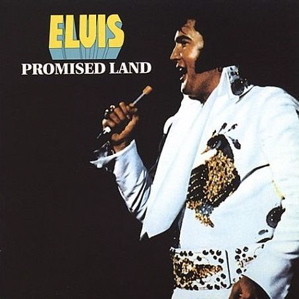 Well, up front let’s call this compilation what it really was—another attempt by Sony Music Entertainment to repackage old Presley material with the hope that the Elvis faithful would again pay for recordings they already had. RCA/Sony had previously released all 55 tracks, masters and outtakes, that are on the three Stax CDs. Like many serious Presley fans, I already had them all and so I didn’t purchase ELVIS AT STAX. However, the release of all the Stax Presley material in a single package 40 years after it was recorded provides an opportunity to assess its significance in what turned out to be the twilight of his career. As the Stax recordings were released in single and LP format over 1973-1975, many saw it as a triumph for Presley, another career resurgence like the American Studios recordings of 1969. 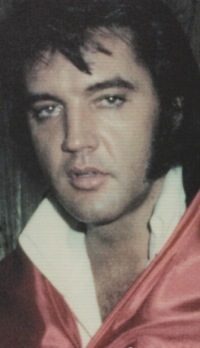 Behind the scenes, though, it’s now known that in 1973 Elvis was beginning to flounder physically and emotionally. Did the Stax sessions, then, herald the swift decline and fall of Elvis Presley? 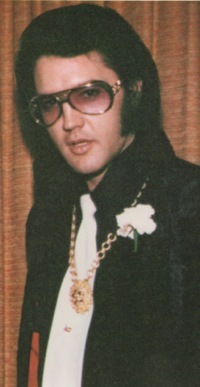 Elvis recorded titles 1-10 at Stax in July 1973 and the remaining 18 titles five months later in December. In his Elvis sessions book, Ernst Jorgensen provides telling insider information about both sessions. Jorgensen wasn’t there, of course, but by listening to the session tapes and incorporating the comments of musicians and technicians who were there, he was able to reconstruct the atmosphere in the studio, and, most importantly, Elvis’s frame of mind at the time. Elvis arrived at the studio three hours late the first night and later left without recording anything. He was late again the next night, and, according to Jorgensen, his speech was “so slurred that he seemed scarcely awake. The sound of his voice on the session tapes makes it painfully evident that he had little interest in recording at all.” Lacking enthusiasm and with his mood rising and falling, Elvis finally finished 10 uninspired masters during the six nights in July. Elvis returned to Stax in December with a much better attitude. 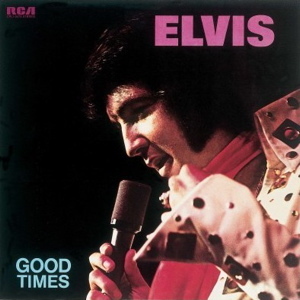 “With the divorce settlement behind him and no live engagements in the near future, RCA’s demand for new material caught Elvis at a much better time than it had in July,” Jorgensen judged. Still, over the course of six nights in the studio, Elvis’s mood vacillated between excitement and frustration. He really got into some songs, like “I Got a Feelin’ in My Body” and “Help Me,” but there were many uninspiring filler songs recorded simply to meet RCA’s quota. 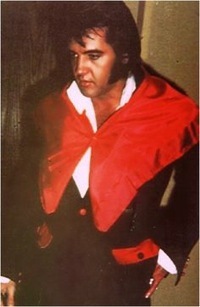 One night Elvis left “in a huff” when he learned there was no food available in the studio. Studio wise, then, the Stax sessions were a mixed bag. 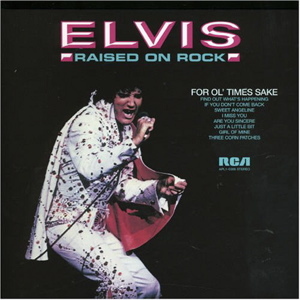 The quality of the material recorded was uneven, as were Elvis’s vocal performances. Overweight and prone to mood swings, he couldn’t maintain his enthusiasm throughout the recording process. Add to that some technical problems, and the resulting Stax output simply didn’t come up to the level of Presley’s impressive work at Memphis’s American Studios in 1969. In fact, comparing the commercial success of Elvis’s American recordings with that of his Stax sessions four years later reveals the sad truth about Presley’s studio sessions in 1973. 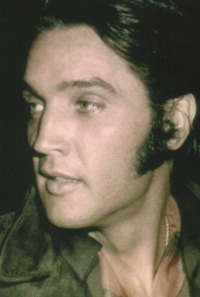 Elvis recorded 33 tracks at American in January and February 1969. 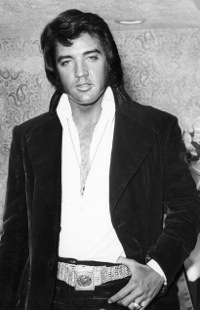 The four A-side singles released from those sessions revived Elvis’s career and made him a force again on Billboard’s “Hot 100” pop chart. “In the Ghetto” reached #3, “Suspicious Minds” went all the way to #1, “Don’t Cry Daddy” peaked at #6, and “Kentucky Rain” made the top 20 at #16. 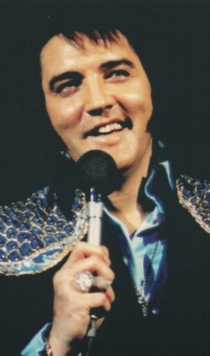 Most of the other American cuts appeared on two 1969 best-selling LPs—From Elvis in Memphis and From Memphis to Vegas. The first, which featured “In the Ghetto,” sold half a million copies, while the latter, without any of Presley’s hit singles on it, still sold 300,000 units. By comparison, none of the five A-side Stax singles, issued between 1973-75, reached Billboard’s top 10, and only three of them made it into the top 20. “Raised on Rock” didn’t even make it into the top 40, peaking at #41. “I’ve Got a Thing About You Baby” did little better, stalling out at #39. “If You Talk in Your Sleep,” “Promised Land,” and “My Boy” at least made the top 20 at #17, #14, and #20 respectively. All of the Stax masters, including the single releases, appeared on three disappointing Elvis studio LPs. Raised on Rock (1973), Good Times (1974), and Promised Land (1975) sold only about 700,000 copies combined. Clearly, the commercial record of Elvis’s Stax sessions hardly heralded another potential revival in Presley’s career. Elvis fans will probably argue that the Stax sessions produced many classic and under-appreciated recordings. A few of them, such as “Promised Land” and “Help Me,” are among my personal favorites. The fact is, however, that by 1973 Elvis’s recording career, which had lapsed back into mediocrity, needed an influx of innovative and energetic records to regain the mainstream prominence he enjoyed in 1969. Unfortunately, the Stax sessions didn’t make much of an impact outside of Presley’s loyal fandom. Instead, the Stax sessions heralded a coming collapse in Presley’s recording career. The following year, 1974, became only the second year in his 24-year entertainment career that he did not make a single studio recording. (The army year of 1959 was the other.) After Stax, Elvis would only work in a major recording studio one more time. (On March 10-12, 1975, he recorded 10 tracks for his Today LP at RCA’s Studio C in Hollywood.) 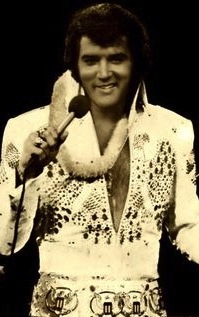 To get Elvis’s final recordings, RCA had to take their mobile equipment trucks to Presley’s home. In Elvis Presley—A Life in Music, Ernst Jorgensen concluded his discussion of Elvis’s Stax sessions with the following. "The Stax sessions were a mixed bag. 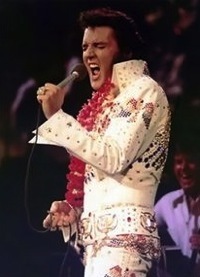 The quality of the material recorded was uneven, as were Elvis’s vocal performances. Overweight and prone to mood swings, he couldn’t maintain his enthusiasm throughout the recording process."